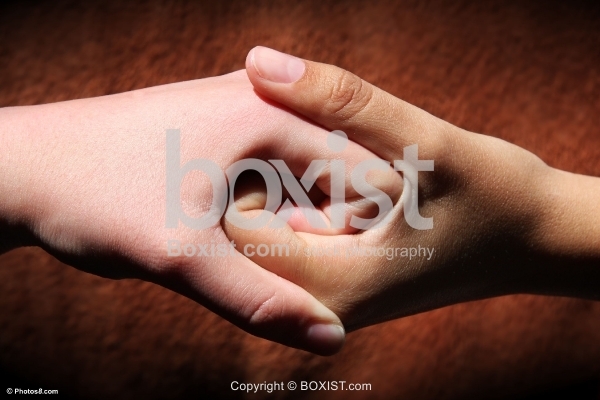 Two Hands of Young Child and Adult Holding and Touching Hands Against Blurry Colored Background. JPG: 5616x3744px @ 2.92 Mb. 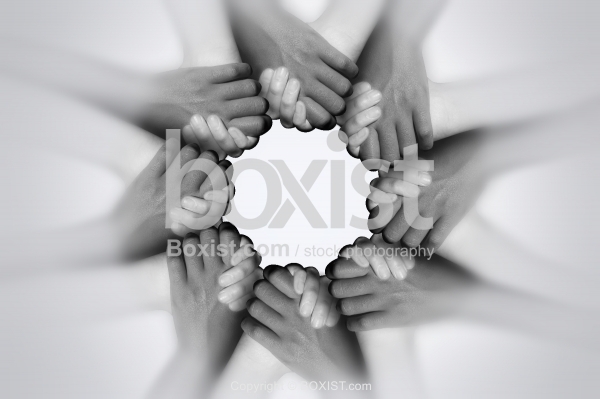 Black and White Hands Hold Together in Circular Shape. Two Hands Holding Hands Strong by Fingers. 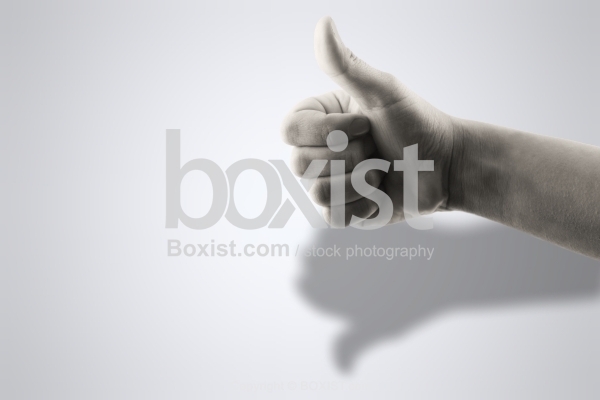 Concept of Like Hand with Unlike Shadow on Bright Gray Background. 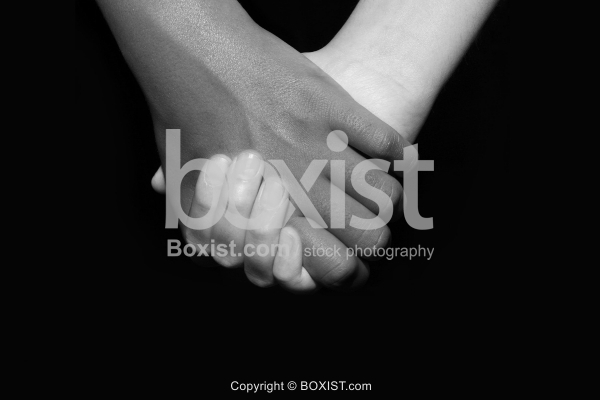 Black and White Couple Holding Hands Together Against Black Background.